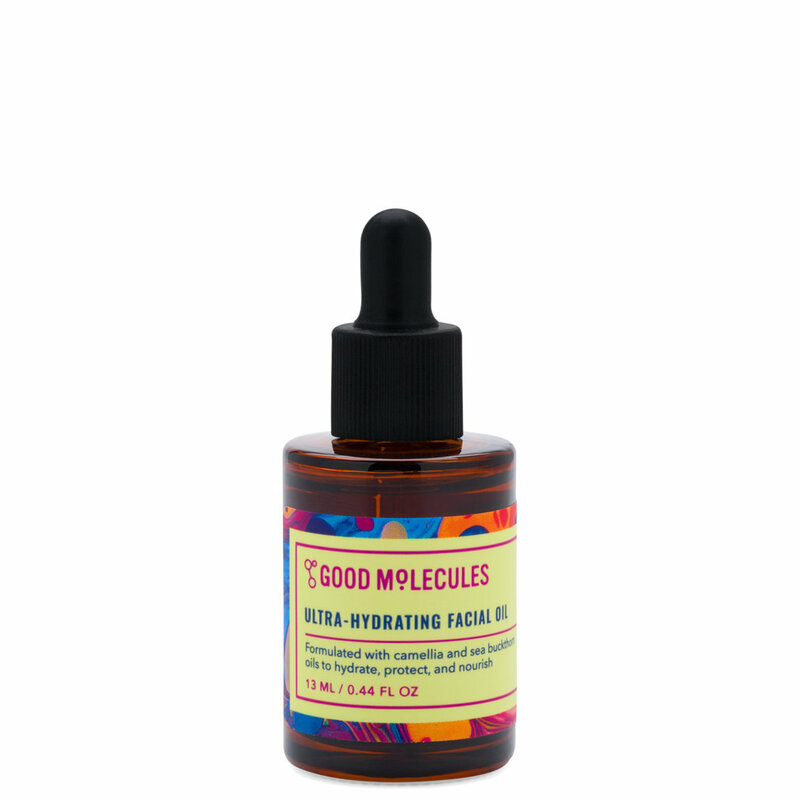 Hydrate, nourish, and protect your skin with Ultra-Hydrating Facial Oil from Good Molecules. Formulated for all skin types, this lightweight blend of camellia oil and sea buckthorn oil relieves dryness and dehydration, leaving you with a smooth, dewy glow. Warm a few drops between palms and gently press into skin. Use as the last step in your routine or under moisturizer. Suitable for daily use. Note: High-quality sea buckthorn oil is rich in natural pigment, which may cause a temporary yellow tint on skin. For this reason, we recommend using this product at night only. Was very kindly sent this by Beautylish to try, and I must say I am pleasantly surprised! First of all, I love the packaging. It comes in the cutest little dropper bottle. I love the design of the label and the box. The ingredients are simple - Camellia Seed oil and seabuckthorn oil. To me, the consistency of the oil is similar to rose hip seed oil. It gets absorbed quickly by my skin (oily/ combination) without leaving any greasy residue. I use this at night (and their squalane oil during the day) and wake up to glowing skin the next day. 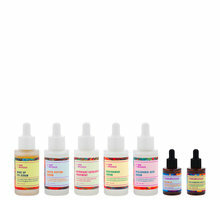 Yes, the bottle is a smaller size than the usual oils/ serums (e.g. those from The Ordinary which are 1 oz/ 30 ml compared to this which is 0.44 oz / 13 ml), but I only need 2 drops for my whole face. I can see this little bottle lasting me a long time. Plus the size makes it very easy to bring when travelling. I hope they continue to expand their line! This is one of the best face oils I've ever used. I have combo oily skin but the older I get the drier my skin gets in the cooler weather. This oil has been amazing at keeping my skin in a "normal" state all winter. Even on the days it was warmer (I live in Florida so winter is always between 40-80 degrees at any given moment), this still kept my skin from over-producing oil. This is a solid product for an amazing price. Thanks for creating this line Beautylish! I look forward to your expansions! I wanted to make sure I used this for a month before leaving my review. I ordered this on a late Friday night and by Monday this was on my doorstep. That was a first and I love that! It is a small bottle, but the amount you need is so little, it will last a LONG LONG time. My skin is dry to begin with and with the cold winter weather, I have several really dry/flaky patches on my face. I decided to use it almost directly on those spots for several days, just putting not even a drop on each spot and tapping it in. Then I would use more on the perimeter of my face. My skin feels so soft and moisturized after using this. I use it at night, and I just love it. For anyone who is sensitive to smell, I did not find a scent to this at all. I just tap/press it into my skin and bam! Great skin for the next day. I will always make sure I have a bottle of this in my stash. I have been using it for a month, but it barely even looks like I have used any and the bottle is smaller than usual. I love the size of the dropper. Thank you Good Molecules! My skin went through a really dry phase recently due to the winter and I’ve been working to get it back to normal. This oil is the perfect balance of lite yet super hydrating, exactly what my combination skin needs. It is a mix of sea buckthorn and camellia oil, two oils that I’ve never tried before. My skin feels sooo soft when I wake up after nightly application. I also adore the little dropper bottle it comes in, great for traveling or carrying in your bag for midday touch ups of any dry spots. I also like to add a drop or two to foundation OR you can pat a few drops over foundation for a really pretty glow. I love a good beauty oil in my night time routine, an oil can really make a difference in your skin! This camellia seed and seabuckthorn oil is a nice addition to my oils. It's very hydrating and makes my skin feel great. The oil absorbes into the skin quickly and I don't feel sticky or greasy after using it. Seabuckthorn is known to be a super ingredient and that might explain the smaller bottle that this oil comes in, you just don't need a lot of this super oil to feel a difference! As much as I like this oil I do feel like I, with my skin type, see more of a difference with rosehip oils.